Maria has been employed with the City of Maitland since 1985. She started working for the City as the secretary for the Police Department in the Detective Division. In 1989, she was promoted to Executive Assistant to the City Manager and in 1993 was appointed by the City Council as the Acting City Clerk. In 2005 she obtained a Certified Municipal Clerk Designation. 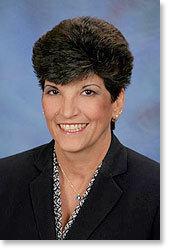 Maria came to the City of Maitland from the Florida Legislature where she was the secretary to a State Representative. Maria was born in Havana Cuba and at age 8 came to the United States with her family. In 1966 after living 3 years in New Jersey, Maria and her parents moved to the small and quiet City of Sanford, Florida. In Sanford she attended local schools and called it her hometown. For the past 21 years Maria has made Lake Mary her home. She has a son and two grandchildren. Maria is certified as Master Municipal Clerk, and she is a member of the International Institute of Municipal Clerks, the Florida Association of City Clerks, and the National Notary Association. The City Clerk's Office is responsible for keeping the City's current and historical records for elected officials, City employees, users, and those who utilize city services, from business owners and civic leaders to other organizations and interested individuals, ensuring the accurate preservation and dissemination of information, in compliance with the Florida Statutes and the Maitland Code of Ordinances. The City Clerk's Office also oversees the application process for the various Citizen Boards and Committees within the City.